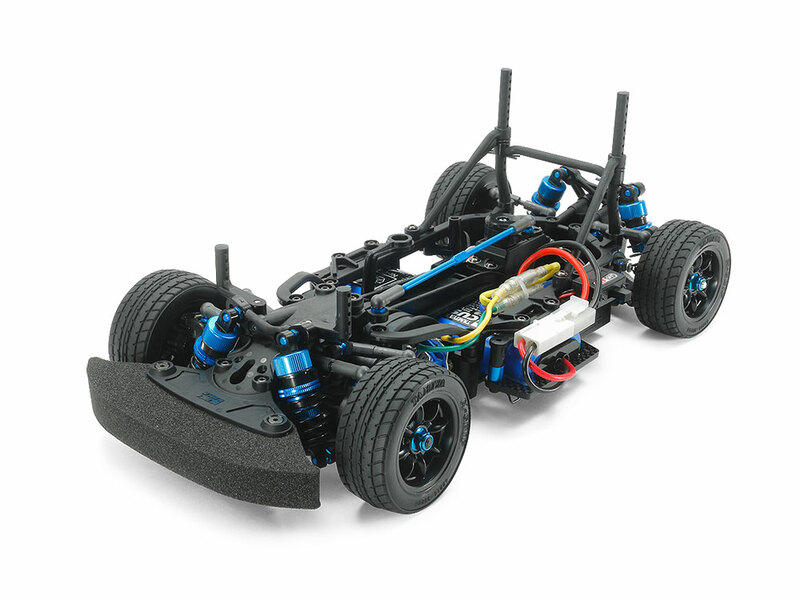 This R/C FWD chassis assembly kit takes the cutting-edge M-07 Concept chassis and pairs it with a range of Tamiya Racing Factory (TRF) hand-picked option parts for a racing setup. It features a high-traction lower deck for a ground-hugging drive, plus carbon fiber battery holders, TRF special dampers, reinforced suspension arms and uprights, as well as rear stabilizer. The result is super grip, even on low-traction surfaces. 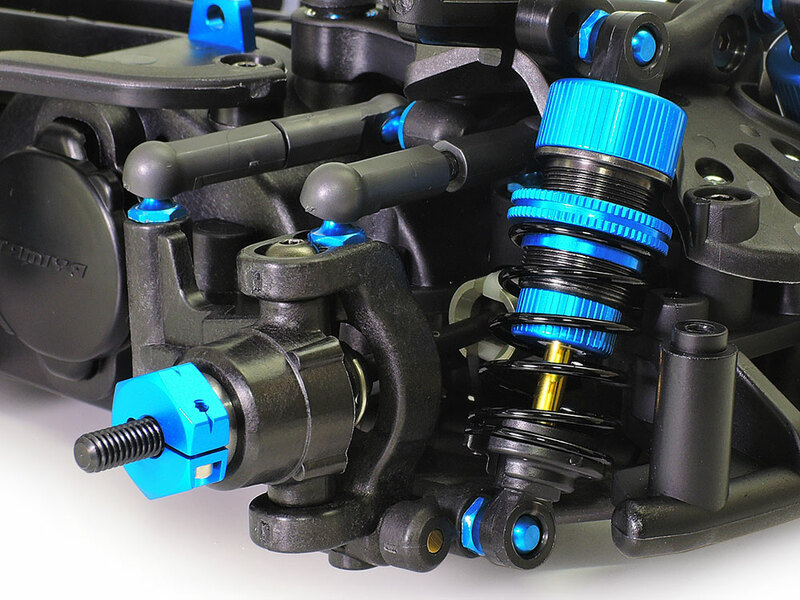 An efficient drivetrain includes oil-filled gear differentials, full ball bearings, double cardan drive shafts, aluminum cup joints, hard coated aluminum pinion gear and more. 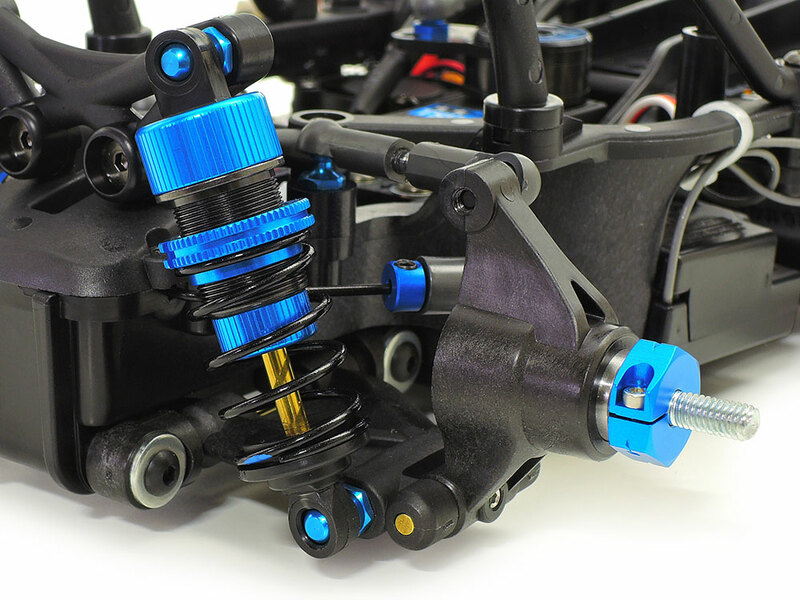 ★Left: A close-up on the smooth front suspension, with TRF Special Dampers, double-cardan shafts and more! 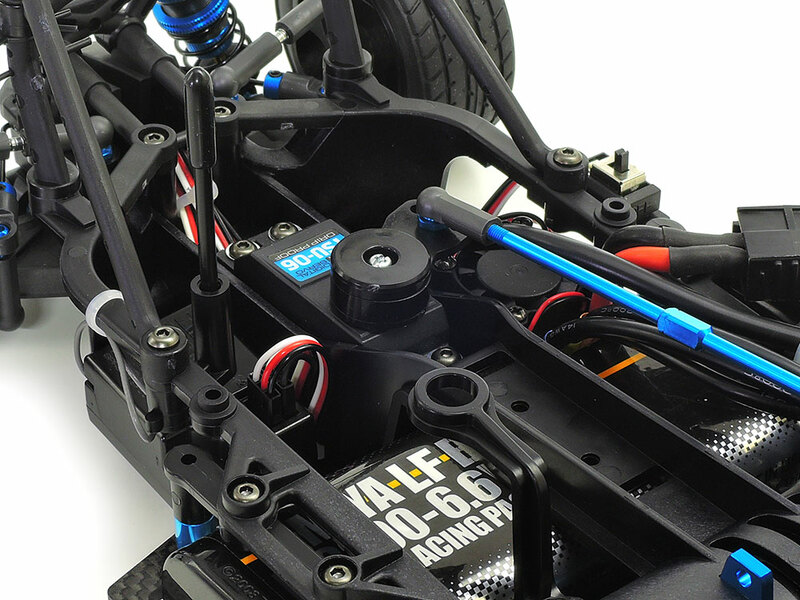 ★Right: Reinforced suspension arms and uprights give great durability. The kit includes a rear stabilizer. 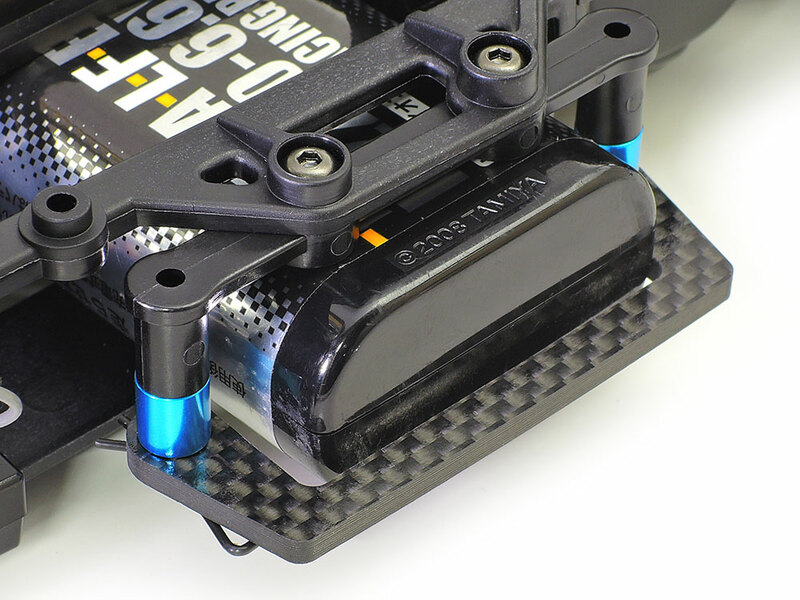 ★Left: This image gives you a good look at the carbon fiber battery holder, a dedicated design for this kit. ★Right: The high-traction lower deck was made to extract just the right amount of flex, for great road holding.